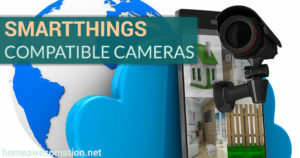 As technology advances, it becomes more and more involved in our daily lives. While the internet and automation used to only be for engineers & techies, the new generation of smart devices has made it easier than ever to put these innovations to work, starting at home. 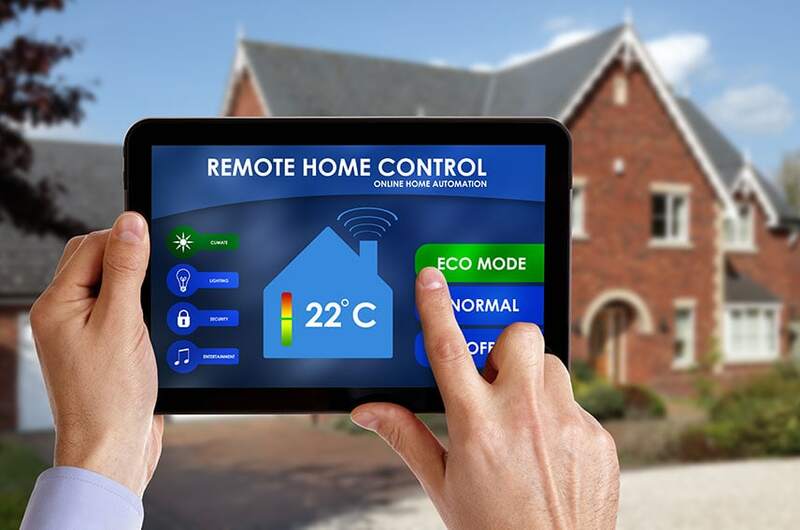 By making our houses “smart”, we can make the most of this new technology. Menial tasks that you used to have to remember to do can now be automated with a few sensors, smart devices, and a phone app. 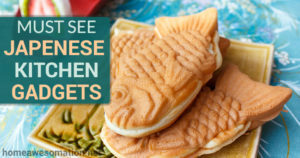 You don’t even have to be a tech expert to make it all work – just a bit creative! If you’re looking to start living smarter but need some ideas, you’re in the right place. 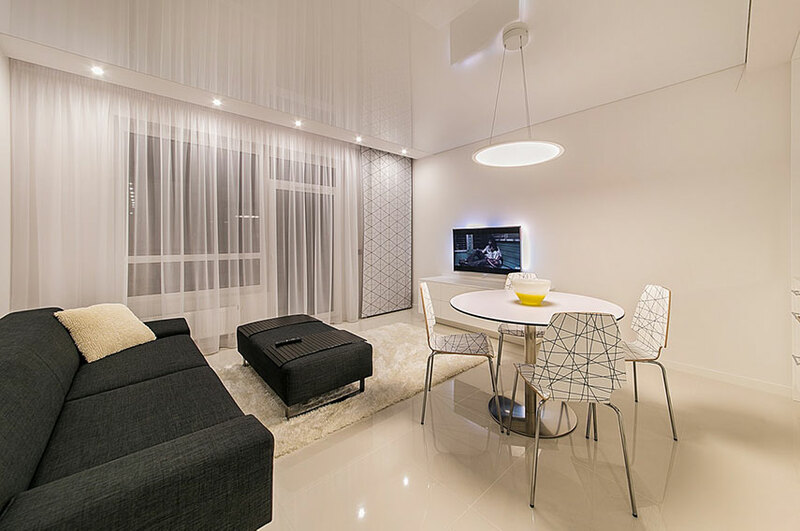 Below are 7 home automation ideas that you can implement to make your life easier. If you’ve ever gone down the stairs at night while holding the wall & railing for dear life, you know how important lighting is to safely navigate stairs. With just a little bit of light, you can safely and easily make your way down for a midnight snack or refill of water, and automation can help. 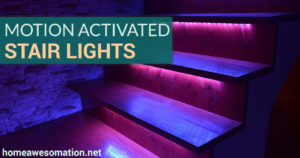 You can create a motion-sensing light setup for your staircase so that they turn on and light your path when you need them. To do this, you can setup a system of lights that are hooked up to a motion sensor at the top and bottom of the stairs. When the sensors detect light, they’ll illuminate the stairs entirely, making them safer to navigate. 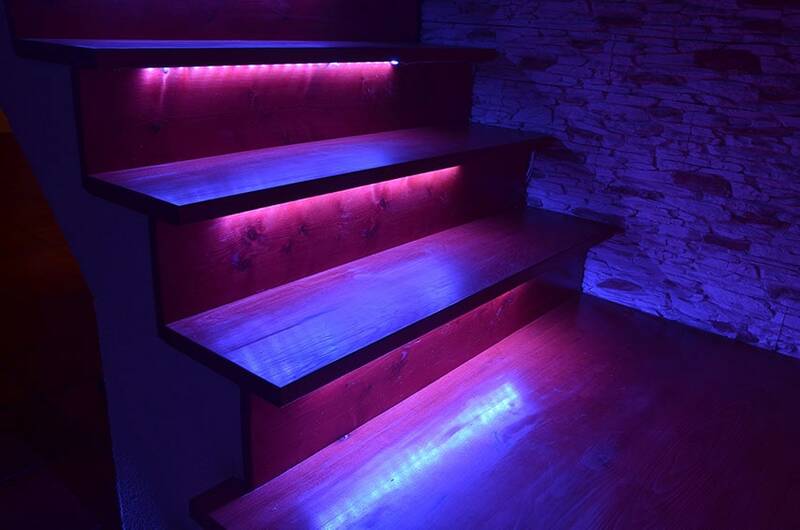 You can also use individual lights on each step if you’re looking for a more versatile option. If you’re someone who lives alone, it doesn’t really make sense for you to leave your air conditioning or heat on while you’re at work or school. However, everyone loves to escape from the outdoor conditions into a comfortable home. With a smart thermostat, you can do just that. With a smart thermostat that includes a mobile app, you can simply sign into the app and begin heating or cooling from there (or set a specific time to turn on/off). However, if you want to totally automate the process you can use geofencing, which will detect when your smartphone is a specific distance from your home’s smart hub. Once you reach that distance, it will automatically turn on! 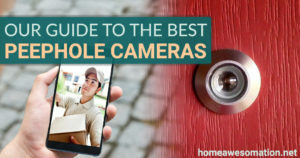 Whether an unwelcomed visitor pops in front of your door late at night or you’re simply waiting for a package delivery, being able to see your front door from your phone is convenient to say the least. To detect when someone is at your door, you can use a smart camera or a peephole camera with a motion sensor that supports smart hub integration so that you will receive a notification when movement is detected. 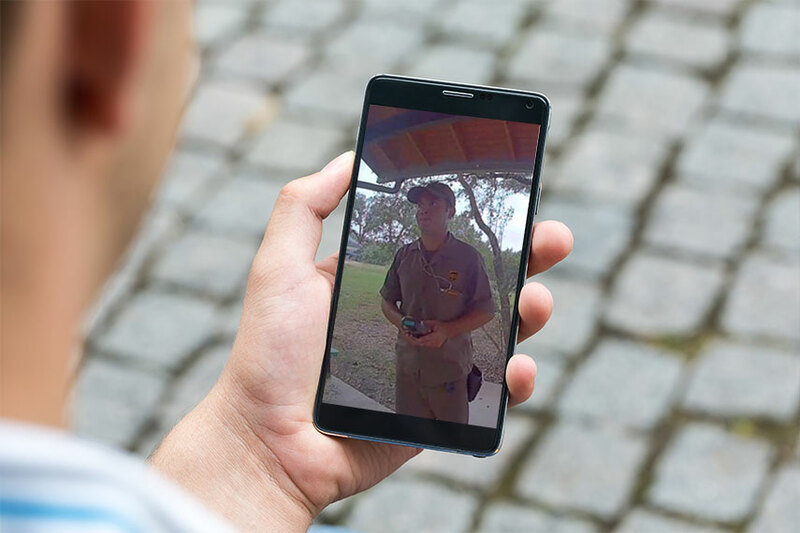 From there you can use the device’s PC or phone app to check the video feed and investigate the disturbance. You can also coordinate your lights to turn on at the same time, potentially scaring any intruders. Can’t quite remember if you turned the lights off when you left for vacation? By automating your home’s lighting, you can be sure that they’re off whether you remembered to turn them off or not. To do this, you’ll want to connect your main lights to smart outlets that are compatible with your home hub. You can then set a location trigger that senses when you are a specific distance from your home (through the phone’s location services or a physical trigger), the connected outlets will turn the lights off. It’s bad enough that you have to wake up for bed, but alarm clocks and phone alarms can make waking up even worse. Wouldn’t you rather wake up peacefully to a bright “sunlight” or your favorite playlist? Automate it! Depending on whether you use smart outlets or smart lights, you’ll want to connect them to your home’s smart hub. Then you can set a specific time for your alarm and trigger the lights to turn on (or increase brightness gradually) when it’s time to get up. If you have a hub with a speaker or a smart speaker you can also add your playlist to the alarm trigger for a peaceful wakeup. If you want to keep your home safe, you’re going to need to make sure that your doors are closed and locked. Nothing says “rob me” like an unlocked door! To begin, you’ll need smart locks on your doors and to link them with your home hub. Once you have the locks setup, you can use geofencing to detect your phone’s location. After you leave, it can trigger the locks on all the doors to keep you safe from potential burglars. 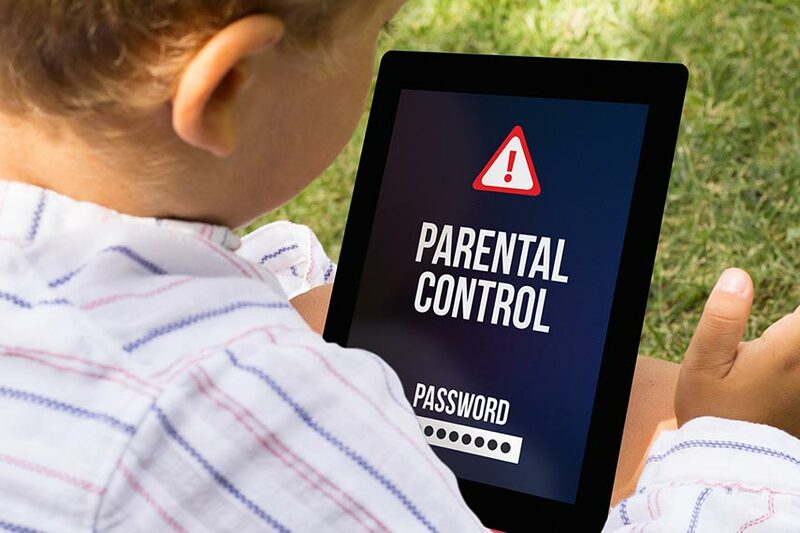 Are your kids sneaking television at night even though you told them to go to bed? Do you want to limit your personal internet or computer time to help you get to sleep faster? Consider setting up automated power controls on your router or televisions! If you’re simply looking to turn off & keep off the TV or router until morning, you can accomplish this with a smart outlet that the devices are plugged into. Simply set a trigger through your smart hub for the time you want everything off by and watch the lights go black. One of the major benefits of technology is that it makes life easier. 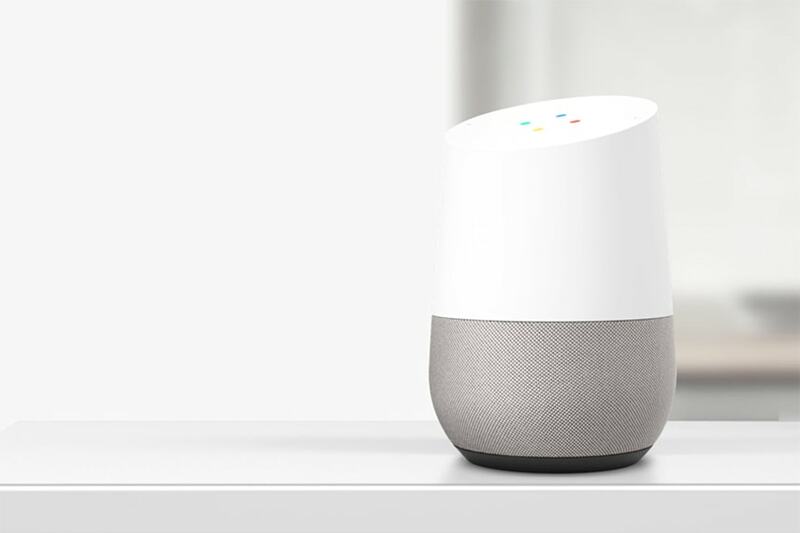 From waking you up to keeping you safe, there are a ton of ways that you can use automation in your home (and new ways being discovered every day). 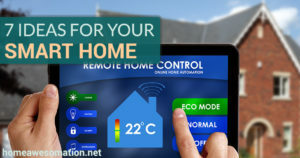 With the 7 home automation ideas we’ve provided above, you’ll be off to a good start on your way to smart living. However, the possibilities are primarily limited only by your imagination, so consider how automation can help your daily life & get automating!